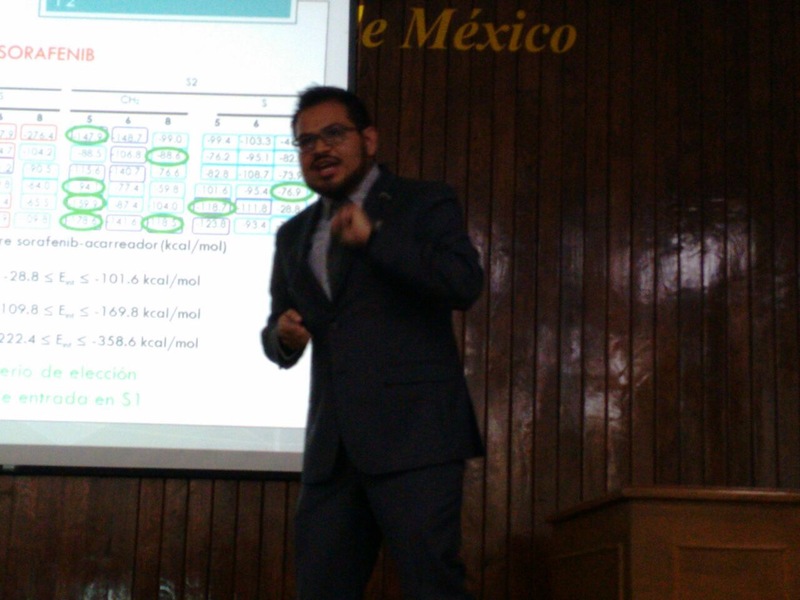 Last Friday we had a new graduate student when our very own Marco Antonio Diaz defended his BSc thesis on the in silico design of drug carriers based on calix[n]arenes. During his thesis he performed around 160 different calculations regarding the interaction energy of our host-guest inclusion complexes, both using the supramolecular method and the NBODel procedure available in NBO3.1 as provided with Gaussian 09. One of the main targets of this work was to assess both methods -with the proper BSSE corrections- in their capabilities for the calculation of interaction energies. We found that the NBODel method consistently generates interaction energies that are similar to those of the SM method + the BSSE correction (as opposed to SM – BSSE which is the proper correction). Marco and I are still in the process of writing the article so maybe it will be published in early 2018. In this case we’re using calixarenes to deliver three drugs: warfarine, furosemide, phenylbutazone to compite with ocratoxin-A (OTA) for the binding site in Human Serum Albumin (HSA). This project is undertaken in collaboration with my good friend Dr. Sándor Kunsági-Máté in Pécsi Tudomanyegyetem in Hungary. Congratulations to Marco from all of us here at the lab! 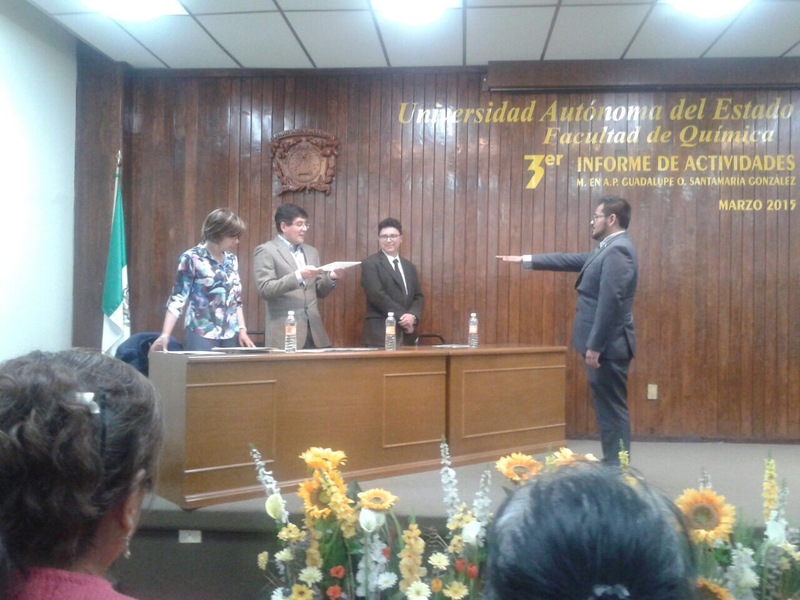 With pleasure I announce that last week our very own Gustavo “Gus” Mondragón became the fifth undergraduate student from my lab to defend his BSc thesis and it has to be said that he did it admirably so. Gus has been working with us for about a year now and during this time he not only worked on his thesis calculating excited states for bacteriochlorophyl pigments but also helped us finishing some series of calculations on calix[n]arene complexes of Arsenic (V) acids, which granted him the possibility to apear as a co-author of the manuscript recently published in JIPH. Back in that study he calculated the interaction energies between a family of calix macrocycles and arsenic acid derivatives in order to develop a suitable extracting agent. For his BSc thesis, Gus reproduced the UV-Vis absorption spectra of bacteriochlorophyll-a pigments found in the Fenna-Matthews-Olson complex of photosynthetic purple bacteria using Time Dependent Density Functional Theory (TD-DFT) with various levels of theory, with PBEPBE yielding the best results among the tried set. These calculations were performed at the crystallographic conformation and at the optimized structure, also, in vacuo results were compared to those in implicit solvent (SMD, MeOH). He will now move towards his masters where he will further continue our research on photosynthesis. Thank you, Gustavo, for your hard work and your sense of humor. Congratulations on this step and may many more successes come your way. 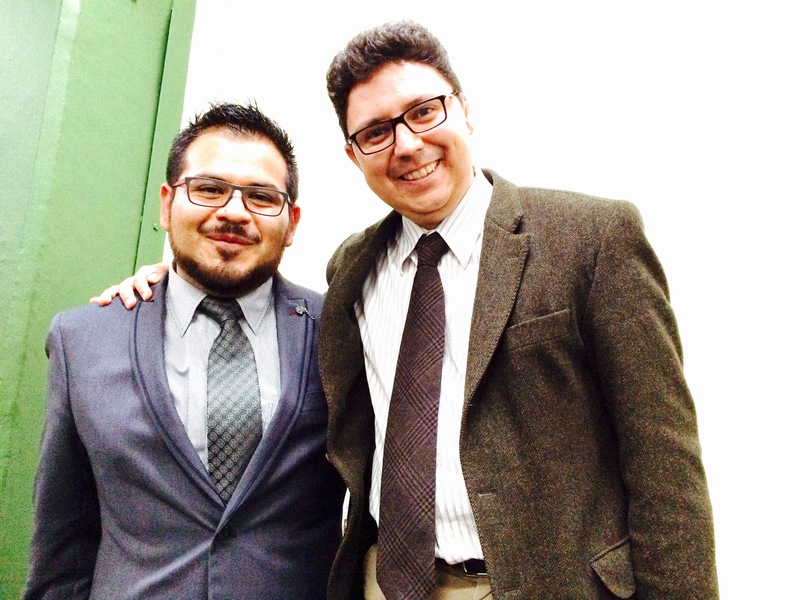 It is with great pleasure that I’d like to announce the thesis defense of Guillermo “Memo” Caballero and Howard Diaz who in past days became the second and third students, respectively, to get their B.Sc. degrees with theses completed at our lab. I want to publicly thank them for their hard work which hasn’t only contributed with a thesis to our library but will soon contribute with research papers to our count. Guillermo “Memo” Caballero worked on the calculation of a reaction mechanism that cannot happen. He started as a synthetic chemist and when he hit a wall at the lab he thought computational chemistry might help him get synthesis on the right direction. He has proven now that the aromatization process of a substituted glutarimide into the corresponding pyridine can only proceed only if substituents with a very strong electron withdrawing effect are used. For two reaction mechanisms proposed, both of them intramolecular rearrangements and only one of them concerted, the calculated energy barriers to reach for the corresponding transition states (QST2 and QST3 methods used) are higher than a pyrolitic decomposition. Memo found also that the delocalization of the pi electron system and its extent goes a long way into the stabilization of the non-aromatic analogue. At first we wanted to treat this problem as a tautomeric equilibrium but since we cannot observe the aromatic tautomer there is no equilibrium and hence no tautomerism. We are still thinking how to name this correspondence between the two compounds when we submit the corresponding paper. It must be said that Guillermo graduated with the highest honors in a most deserved way. Two reaction mechanisms. Without different substituents the transformation is not possible. Howard Diaz worked on the design of molecular blockers for the entrance process of the HIV-1 virus into lymphocytes through the GP120 protein. Six known blockers based on phenyl-indoyl-urea were assessed through docking, the binding site of the GP120 protein was described in terms of the interactions formed with each on these compounds and that served as the basis for what in the end came up to be a 36 compound library of blockers, whose structures were first optimized at the B3LYP/6-31G** level of theory. All the 42 blockers were docked in the binding site of the protein and a thorough conformational search was performed. From this set, lead compounds were selected in terms of their binding energies (first calculated heuristically) and further studied at the Density Functional Theory, B97D/cc-pVTZ in order to study the electronic structure of the blocker when interacting with a selection of residues at the binding site. Interaction energies calculated at the quantum level are consistent with the complex formation but since we had to cut the protein to only a few residues little correlation is found with the first calculation; this is fine and still publishable, I just wish we had a more seamless transition between heuristics and quantum chemical calculations. Wiberg indexes were very low, as consistent with a hydrophobic cavity, and delocalization energies calculated with second order perturbation theory analysis on the Natural Bond Orbitals revealed that the two most important interactions are C-H…π and Cl…π, these two were selected as key parameters in our design of new drugs for preventing the HIV-1 virus to bind lymphocytes-T; now we only need to have them synthesized and tested (anyone interested?). Thank you guys for all your hard work, it has truly payed off. I’m completely certain that no matter what you do and where you go you will be very successful in your careers and I wish you nothing but the very best. This lab’s doors will always remain open for you. 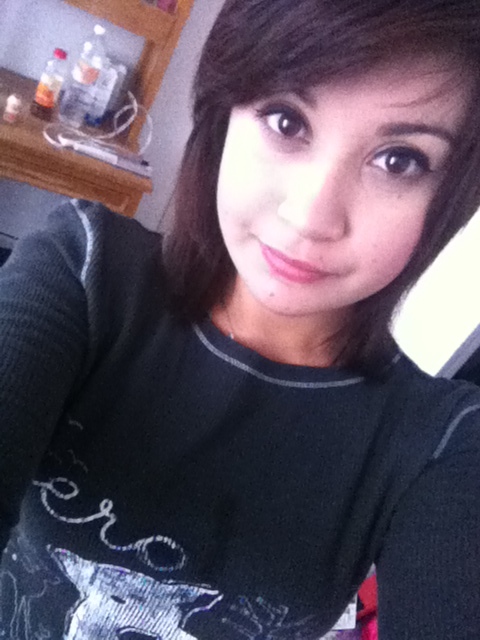 I’ve been neglecting this blog a lot lately! It would seem as little or nothing is going on in our lab but it’s quite the opposite, a lot of good stuff is going on and most of the excitement comes from the results obtained by a few more interns. Alberto and Eduardo came just as the previous group of interns left. 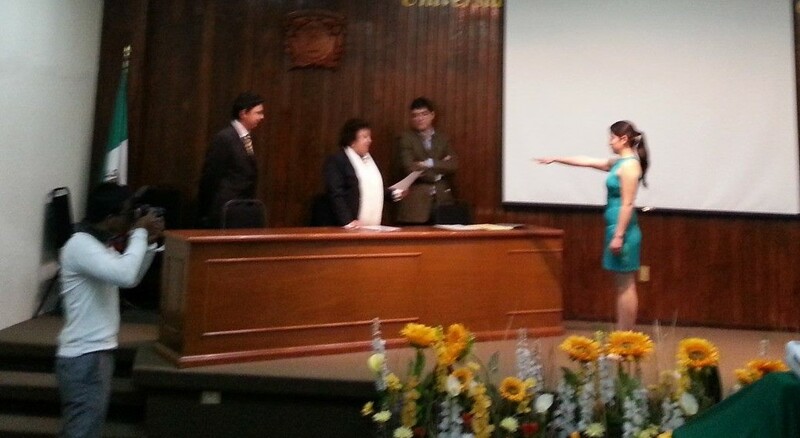 They’re both undergrad students in Pharmaceutical Sciences at Universidad de la Cañada in southern Mexico. My good friend, Dr. María del Carmen Hernández, referred them to me to do a stay during their summer vacations. They are taking where the previous interns (Paulina, Eliana, Javier and Daniel) left and have now obtained the interaction energies for five different host-guest aducts for 3-phenyl-1H-bezofuro[3,2-x]pyrazole, a tyrosine III kinase inhibitor, currently under research for the treatment of leukemia, better known to us as GTP. As before, our molecular carriers are a wide selection of functionalized-calix[n]arenes. These calculations turned out to be rather lengthy; they were all performed at the B97D/6-31+G(d,p) level of theory in order to account for dispersion forces in pi-pi interactions between the aromatic rings in both species. 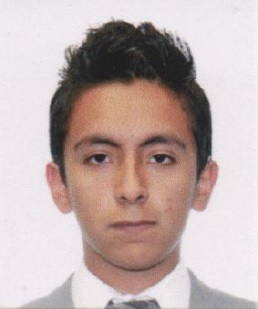 The third recent addition to our lab is Monserrat Enriquez, who is a PhD student under the supervision of my good friend Dr. Eddie López-Honorato (if you haven’t checked his blog on nuclear energy and materials for nuclear reactions containment go now and follow it; encourage him to post more often!). Monserrat will be co-advised by me. Her project lies within the scope of molecular recognition, materials recovery and bioremediation; calculations and simulations will help the experimental team to point the synthesis of sequestrating agents in the right direction, or, at the very least, to have a better understanding of the forces and interactions lying beneath the formation of such complex structures. Last but not least, Luis Enrique is back with a vengeance! He is determined to finish his study on other tyrosine kinase inhibitor drugs. 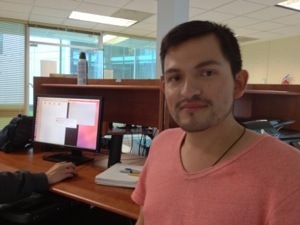 Luis Enrique is an undergrad Chemistry student here in Toluca at the Autonomous Mexico State University, so he will come on his spare time and work from home every now and then; who knows! maybe he’ll end up with a dissertation by the time he finishes his undergrad studies! But I’m to be left alone pretty soon, as Alberto and Eduardo will stay for a couple of weeks more and Luis Enrique will be here on his spare time. 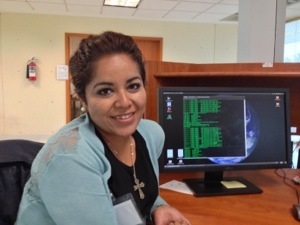 Monserrat will leave on Friday back to Saltillo in Northern Mexico to continue working on the experimental part of her research while working on her calculations from a distance. Thanks to them for their invaluable help in the development of our research group, for their enthusiasm and hard work. You are now a part of this lab and its doors will always welcome you back! For the last five weeks we had guests in our lab coming from different places of the country: Tepic (west), León (Center) and Mexico City (Right in the middle!). During those five weeks they worked in the field of computational chemistry helping our research efforts with a couple of drug carrying molecules. They learned about computational chemistry and drug design; about wavefunctions and density functionals; about population analysis and vibrational frequency analysis. Dead hours were a bit complicated to handle because the convergence of each calculation takes some time and, as opposed to a wet-chemistry lab, I couldn’t just ask them to purify starting materials or distillate solvents. A question to other theoretical/computational chemists: What could I have asked young undergrad students (with backgrounds ranging from engineering to pharmacy) to do during those dead hours? What did I do wrong? Anyway, they manage to spend a good time since they all got along quite well. 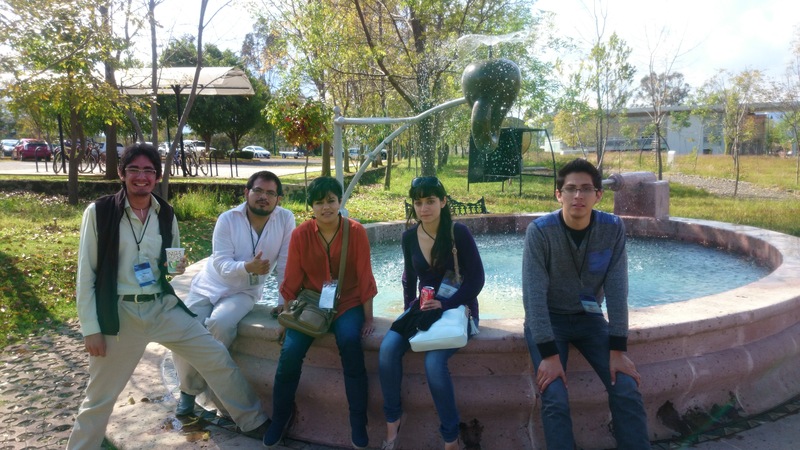 Now they are back to their hometowns getting ready for the congress, hosted by the same organization that awarded them the stipend to come and spend their summer with us (The Dolphin Program / Programa Delfín) as well as to going back to school in a few more weeks. I asked* them to write a guest post for the blog telling their experience, which is presented below. Thanks to you all for choosing our lab to get your internship this summer! The dolphin program has given me the opportunity to experience how is to be in a high-level scientific research. Login to CCIQS next to the imminent Dr. Joaquin Barroso Flores, left me a pleasant experience. The great contribution that gives this line of research has allowed me to meet new horizons, beyond the area of engineering, to which I belong. The theoretical chemistry and computational chemistry together, are a great weapon to develop virtual optimizations that allow us to find drug transport agents, without making the vast amount of laboratory tests that are required. Explaining that this is one of the many applications that can be used. To undertake this experience has left me very satisfied, be guiding a person who likes his work and want to show what he knows, it makes me very happy. After these long weeks of work and perseverance, with certainty affirm the interesting and productive it is to be part of the investigation in Mexico. 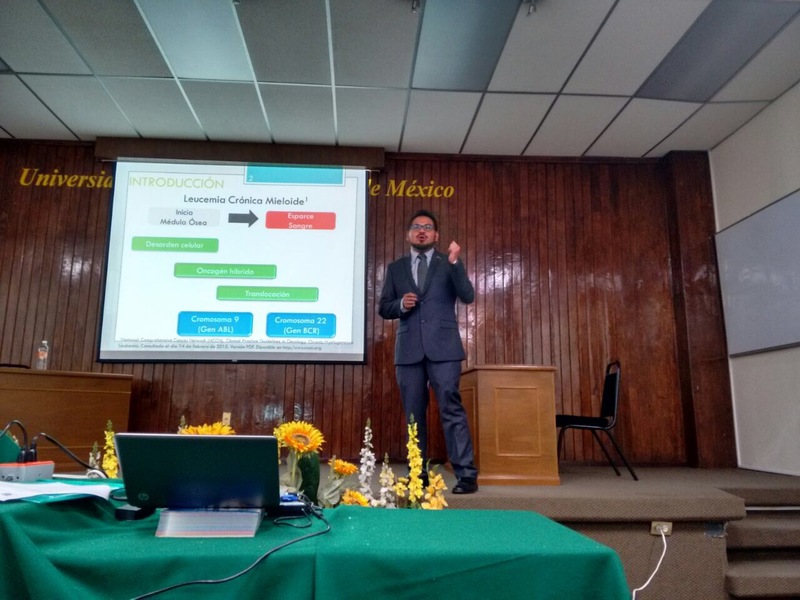 I thank the Dolphin Program, gives CCIQS the UAEM-UNAM and Dr. Joaquin for opening the doors to this great opportunity to start my story as a researcher. Hi my name’s Paulina and I came as part of Dolphin Research Program that gives the opportunity of participates in a real work of investigation with a professional at the topic. In this occasion I came to work with Ph.D. Joaquin Barroso in a small project of his line of research; namely theoretical drug carriers design. In this six weeks besides to learn more aspects about my career, in this case Theoretical Chemistry applied to pharmaceutical industry; I tested the experience of travel to another town just by myself, live with people from different parts of the country with distinct customs and visit few places of the town. This summer will always be memorable ‘cause this internship is an important event for my professional experience and also for my personal development and I hope many others students have the courage to try get into the world of scientific research. So just remains for me to thank to Ph.D. Joaquin Barroso for giving me the chance to do this internship in his lab I hope you continue having success in your work, I feel pretty glad to met him and my others research’s mates. *Their contributions were completely voluntary and no editing of their original texts has been made.